To install Python and these dependencies, we recommend that you download Anaconda Python or Enthought Canopy, or preferably use the package manager if you are under Ubuntu or other linux. 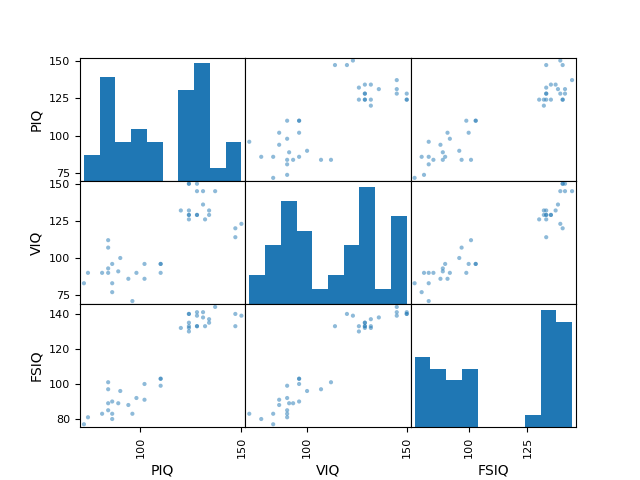 Bayesian statistics in Python: This chapter does not cover tools for Bayesian statistics. Of particular interest for Bayesian modelling is PyMC, which implements a probabilistic programming language in Python. Read a statistics book: The Think stats book is available as free PDF or in print and is a great introduction to statistics. 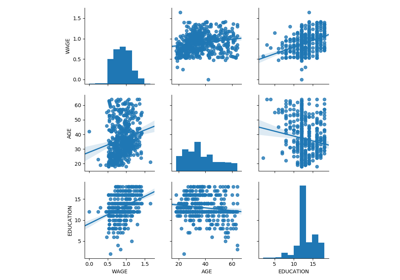 R is a language dedicated to statistics. Python is a general-purpose language with statistics modules. R has more statistical analysis features than Python, and specialized syntaxes. However, when it comes to building complex analysis pipelines that mix statistics with e.g. image analysis, text mining, or control of a physical experiment, the richness of Python is an invaluable asset. In this document, the Python inputs are represented with the sign “>>>”. Some of the examples of this tutorial are chosen around gender questions. The reason is that on such questions controlling the truth of a claim actually matters to many people. We will store and manipulate this data in a pandas.DataFrame, from the pandas module. It is the Python equivalent of the spreadsheet table. 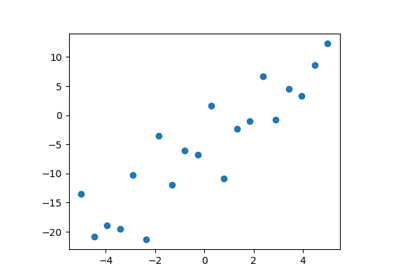 It is different from a 2D numpy array as it has named columns, can contain a mixture of different data types by column, and has elaborate selection and pivotal mechanisms. The weight of the second individual is missing in the CSV file. If we don’t specify the missing value (NA = not available) marker, we will not be able to do statistical analysis. Other inputs: pandas can input data from SQL, excel files, or other formats. See the pandas documentation. 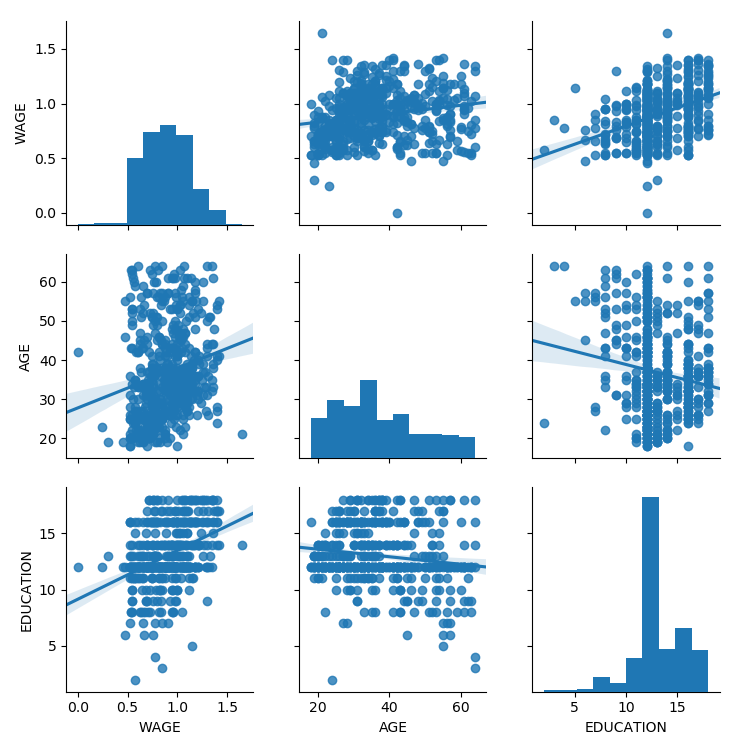 For a quick view on a large dataframe, use its describe method: pandas.DataFrame.describe(). Use tab-completion on groupby_gender to find more. Other common grouping functions are median, count (useful for checking to see the amount of missing values in different subsets) or sum. Groupby evaluation is lazy, no work is done until an aggregation function is applied. What is the mean value for VIQ for the full population? How many males/females were included in this study? Hint use ‘tab completion’ to find out the methods that can be called, instead of ‘mean’ in the above example. 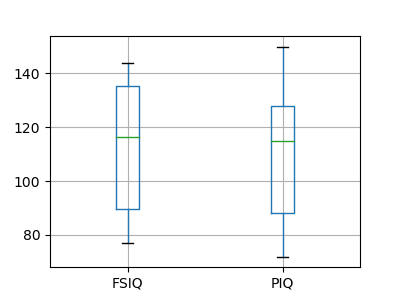 What is the average value of MRI counts expressed in log units, for males and females? 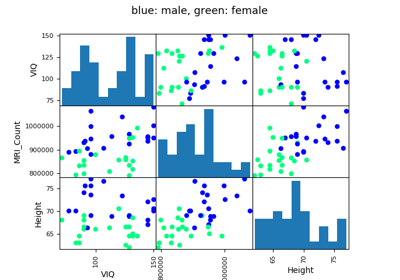 groupby_gender.boxplot is used for the plots above (see this example). 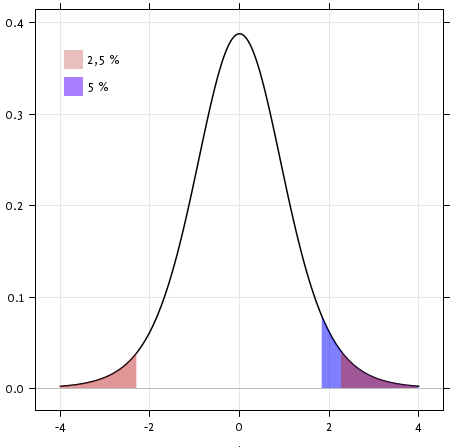 The IQ metrics are bimodal, as if there are 2 sub-populations. 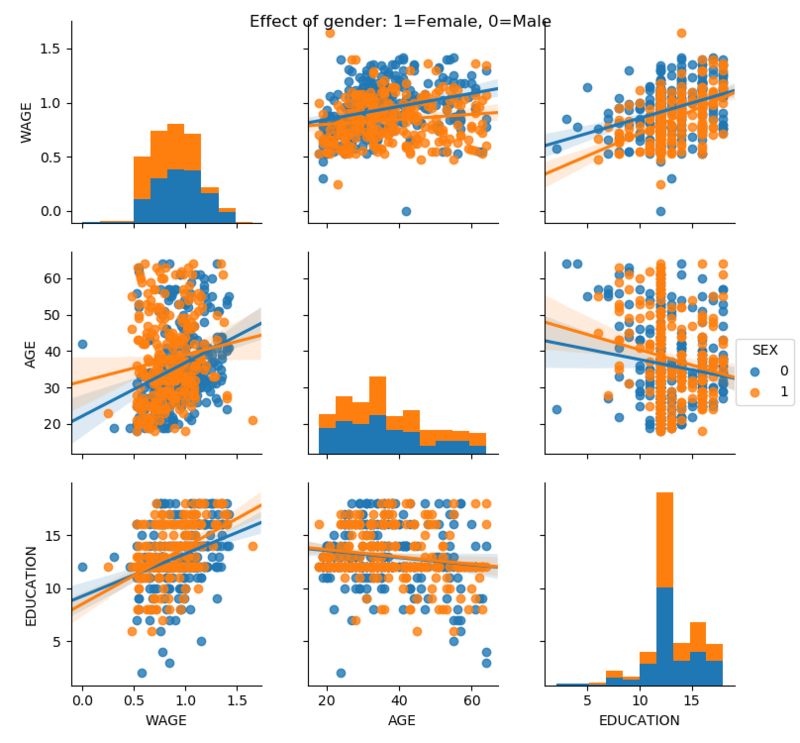 Plot the scatter matrix for males only, and for females only. Do you think that the 2 sub-populations correspond to gender? Scipy is a vast library. 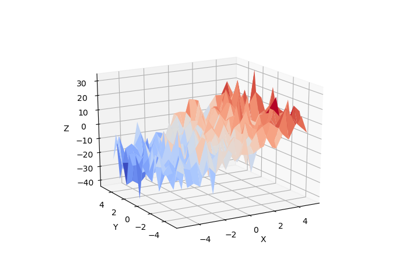 For a quick summary to the whole library, see the scipy chapter. 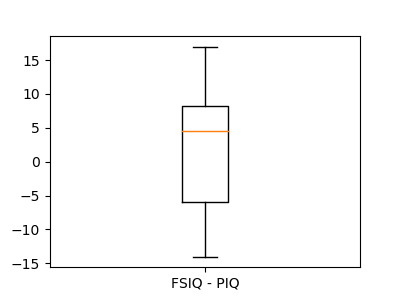 With a p-value of 10^-28 we can claim that the population mean for the IQ (VIQ measure) is not 0. 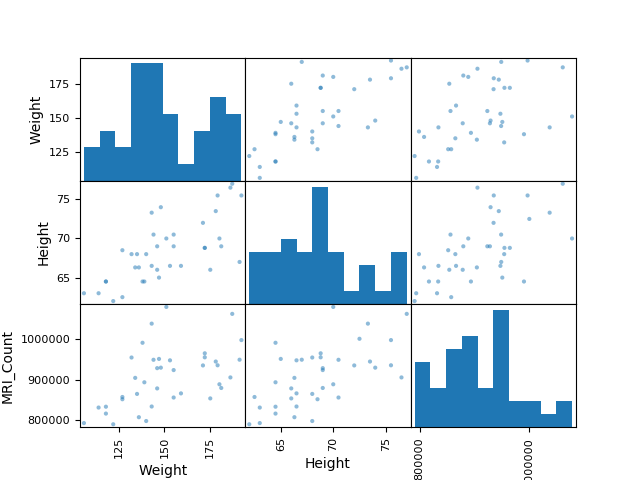 The corresponding test in the non paired case is the Mann–Whitney U test, scipy.stats.mannwhitneyu(). Test the difference between weights in males and females. 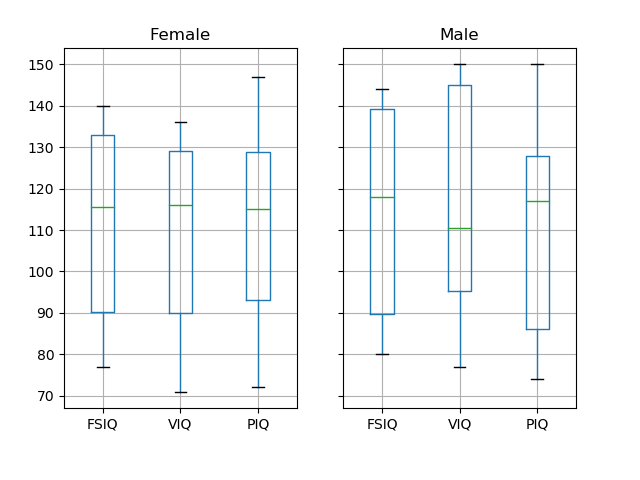 Use non parametric statistics to test the difference between VIQ in males and females. 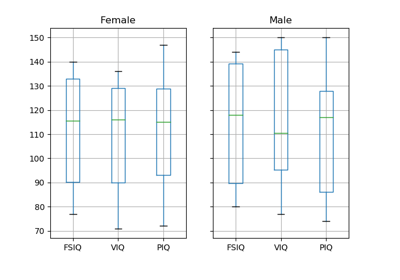 Conclusion: we find that the data does not support the hypothesis that males and females have different VIQ. Fit a linear model. We will use the simplest strategy, ordinary least squares (OLS). Test that coef is non zero. Statsmodels uses a statistical terminology: the y variable in statsmodels is called ‘endogenous’ while the x variable is called exogenous. This is discussed in more detail here. To simplify, y (endogenous) is the value you are trying to predict, while x (exogenous) represents the features you are using to make the prediction. Retrieve the estimated parameters from the model above. Hint: use tab-completion to find the relevent attribute. 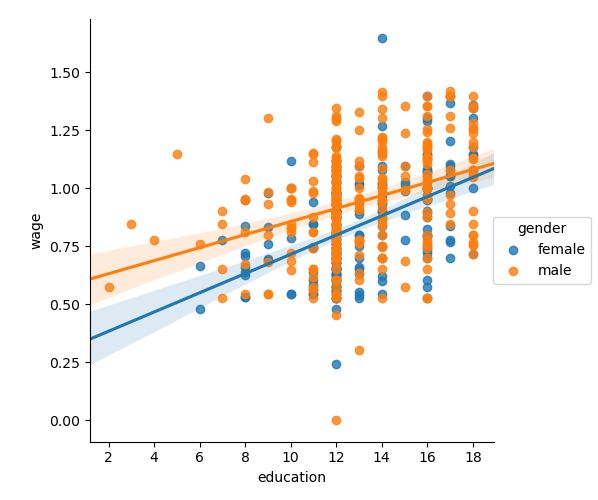 Forcing categorical: the ‘Gender’ is automatically detected as a categorical variable, and thus each of its different values are treated as different entities. Intercept: We can remove the intercept using - 1 in the formula, or force the use of an intercept using + 1 . By default, statsmodels treats a categorical variable with K possible values as K-1 ‘dummy’ boolean variables (the last level being absorbed into the intercept term). This is almost always a good default choice - however, it is possible to specify different encodings for categorical variables (http://statsmodels.sourceforge.net/devel/contrasts.html). Such a model can be seen in 3D as fitting a plane to a cloud of ( x , y , z ) points. Sepal and petal size tend to be related: bigger flowers are bigger! But is there in addition a systematic effect of species? 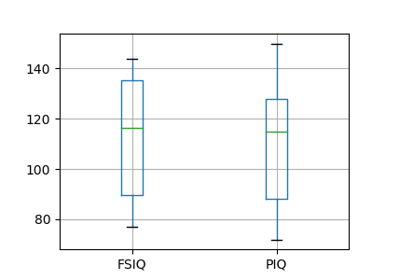 Going back to the brain size + IQ data, test if the VIQ of male and female are different after removing the effect of brain size, height and weight. 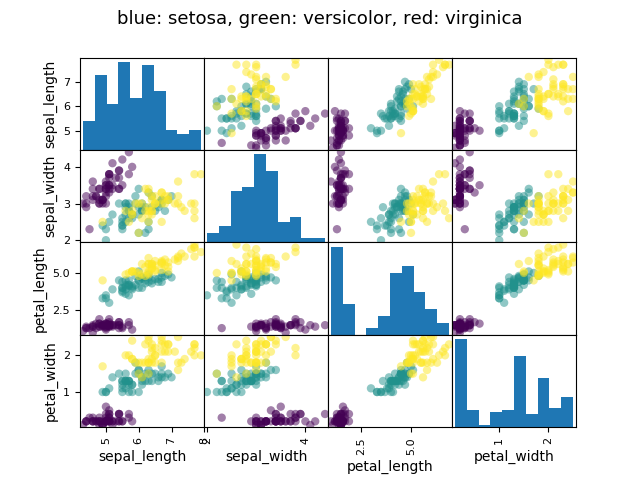 Seaborn combines simple statistical fits with plotting on pandas dataframes. Let us consider a data giving wages and many other personal information on 500 individuals (Berndt, ER. The Practice of Econometrics. 1991. NY: Addison-Wesley). The full code loading and plotting of the wages data is found in corresponding example. 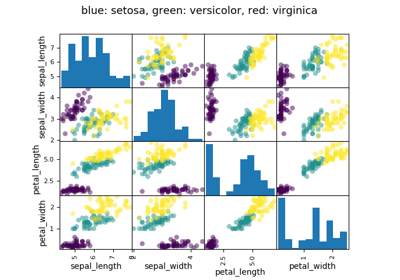 To switch back to seaborn settings, or understand better styling in seaborn, see the relevent section of the seaborn documentation. Given that, in the above plot, there seems to be a couple of data points that are outside of the main cloud to the right, they might be outliers, not representative of the population, but driving the regression. 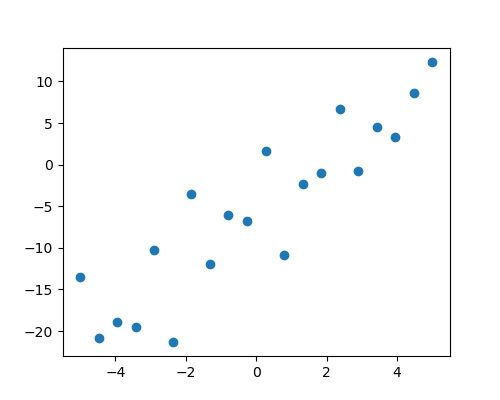 To compute a regression that is less sentive to outliers, one must use a robust model. 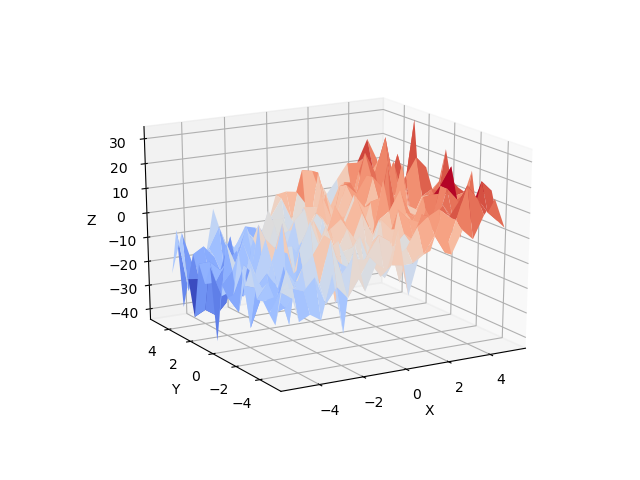 This is done in seaborn using robust=True in the plotting functions, or in statsmodels by replacing the use of the OLS by a “Robust Linear Model”, statsmodels.formula.api.rlm(). 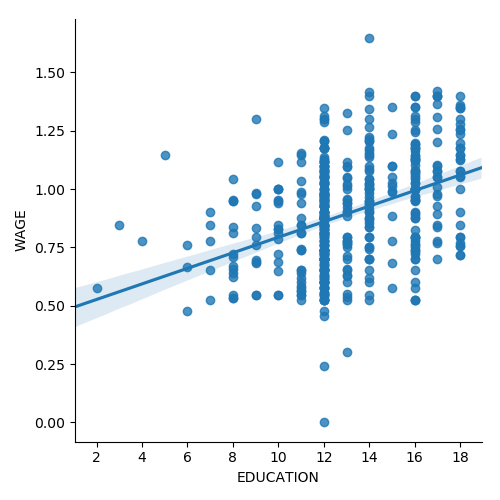 Do wages increase more with education for males than females? The plot above is made of two different fits. We need to formulate a single model that tests for a variance of slope across the two populations. This is done via an “interaction”. 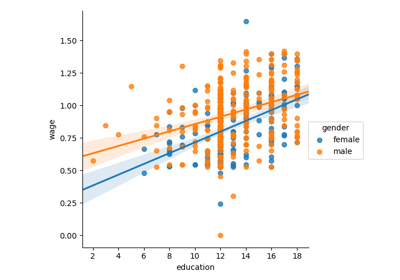 Can we conclude that education benefits males more than females? Hypothesis testing and p-values give you the significance of an effect / difference. Formulas (with categorical variables) enable you to express rich links in your data. 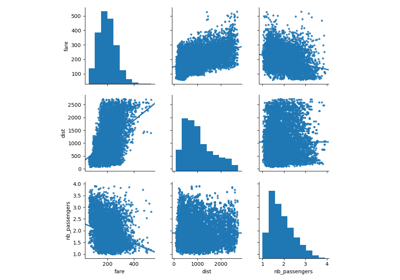 Visualizing your data and fitting simple models give insight into the data. Conditionning (adding factors that can explain all or part of the variation) is an important modeling aspect that changes the interpretation. Code examples for the statistics chapter.